Technology has influenced a whole new vocabulary over the last few years, especially with relevance to the financial sector. How many people would have been able to keep up with a conversation concerning cryptocurrency, cloud services, artificial intelligence, and machine learning for instance, even as little as three years ago? It is interesting that technology, although seemingly constantly gaining in its complexity, provides its most substantial advantages in actually simplifying business-, financial- and other processes. As an example, automation of processes has been a recurring theme of our articles during the last few months. This theme has been largely focussed on financial processes through use of cloud-based platforms such as Xero, and Receipt Bank, however. For small businesses, investment in complicated IT and back-up systems can be a great burden. 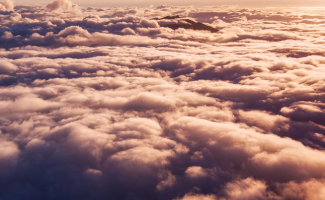 If managed correctly, cloud services offer a cheap and easy alternative to decentralise your data for purposes of easy recovery, no matter where you are or when you need it, with the added benefit of that capital expenditure saving. Centralised accessibility of information is often a prerequisite for remote working, which is becoming an increasing trend. Imagine collaborating in real-time, on that exciting new proposal, while waiting for your flight at the airport lounge. With the cloud, this is no longer a burdensome task. You have received all the necessary files from your client, your desk has already been arranged in the optimal working condition, only to realise that you and your client are on different versions of the same software and the files won’t load. Automatic updates mean that you are always guaranteed to be on the latest version, without any hassle on your part. The cloud allows you to keep most of your important documents in electronic format, in data rooms. Apart from rendering most of your filing cabinets redundant, this also means that you and your office are contributing to the environment, with less paper and resources being consumed. There are many advantages to seriously start rethinking your personal, as well as your firm’s digital strategy, however being able to fund a new coffee machine for the office through your paper savings, or planting a hanging garden in that space that was previously occupied by filing cabinets, might be a good place to start.